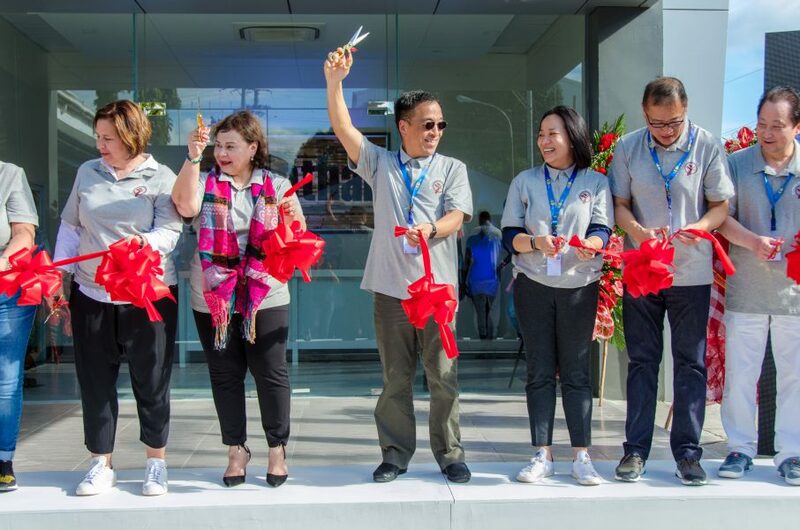 A two-day summit with the theme “Sustainable Shared Success Through Reinvention” was successfully held on February 6-7, 2018 at Crimson Hotel, Mactan-Cebu, Philippines. Over 180 attendees gathered and listened to Luen Thai Holdings Limited (LTH) CEO Raymond Tan who opened the summit on February 6 with a keynote speech “Luenthai: an eXtraOrdinary company”. His speech which was also live streamed across various Luenthai locations across the globe, centered on his vision for the organization, the strategy to achieving this vision, and his focus and support towards a more sustainable Luenthai. Also present in the summit was Mr. Shen Yaoqing, Vice President of Shangtex and Chairman of the Board of LTH who spoke on behalf of Shangtex. Other top executives from the company also delivered presentations (in order of appearance) Kelvin Su (Luenthai: Building the Future, Today), Anne Mok (Luenthai: From Family Enterprise to Enterprise Family), Dr. John Romagna (Enabling a Smarter, More Competitive Future), Sandy Fok (Creating the “X” Factor The People Factor and Why Employee Engagement Matters), Joerg Kornblum (Extraordinary Governance), Sunny Tan (Accessories Division: Ready for the Next Phase of Growth), and Frank Sauceda (Online Luenthai: The Next Innovation and Growth Area). 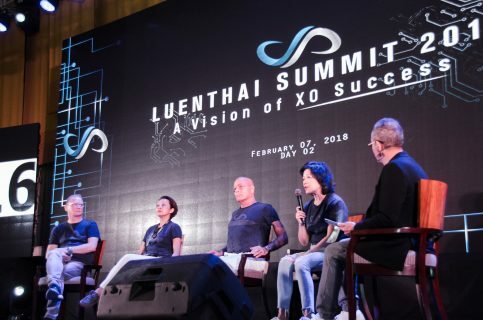 Special messages on the topic of shared success were delivered by Luenthai partners: Renee Howard, adidas VP for the customers; Peter Decorte, CEO of Tongsia (Yeh Group) for the suppliers, and Fr. Rocky Evangelista of Tuloy Foundation for the community partners. 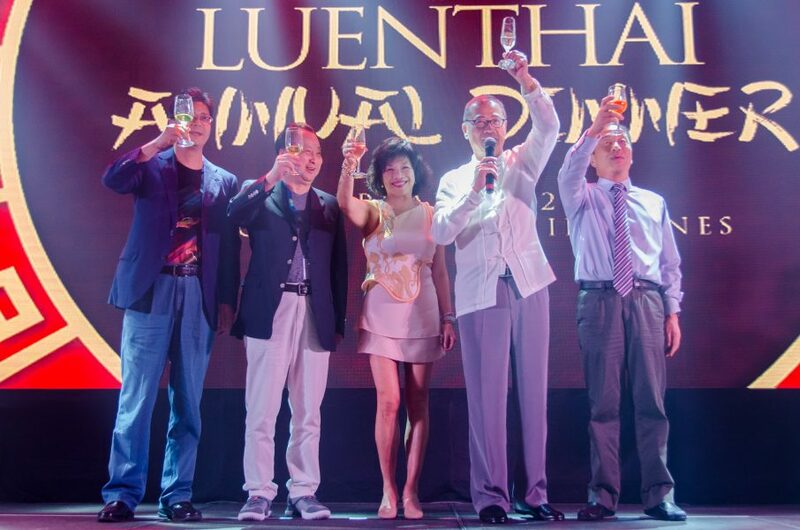 A special talk on China Retail was also delivered by Willie Tan, Luen Thai Enterprises CEO. The two-day conference also featured Q&A portions with the presenters. The first one featured Renee, Peter and Kelvin as panelists and Joerg Kornblum as moderator. The event app was utilized to gather questions and reactions from the attendees. Questions ranged from technology and sustainability strategies to hiring of new talent. The second Q&A featured Willie while Sunny Tan took the role of moderator. On Day 2 of the conference, Q&A portions were moderated by Frank Attwood and Frank Sauceda. The first Q&A focused on the various corporate support in relation to driving the messages and actions needed on Luenthai’s new directions. In this panel were Anne, Sandy, Joerg and Dr. John. The second Q&A gave the attendees a chance to ask details about Luenthai’s reinvention, sustainability, and people strategies. The event also marked the Grand Opening and Tour of Yuenthai’s “Factory of the Future” which showcases Luenthai’s latest automation and digitalization processes on the production floor, as well as sustainable initiatives. Also inaugurated with the Factory of the Future is the YTY Facility. 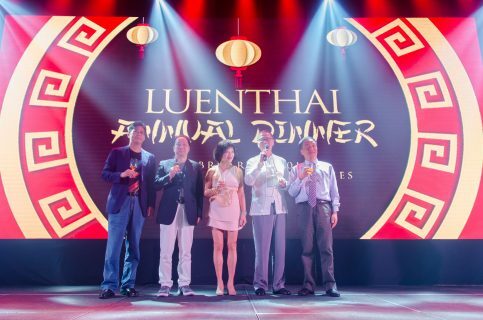 On the night of February 6, guests, executives and attendees came in their Chinese attire for a special celebration of the Chinese New Year (Spring Festival) through its Annual Dinner. The program included a Lion Dance with the special participation of Raymond Tan. Program hosts were Sunny and Sandy. Special performances from Tuloy Foundation and Yuenthai were performed during the program. Special prizes with a sustainable and technology theme were raffled off to lucky winners. A special video message from Philippine Government, through the Secretary of Trade and Industry (DTI) Ramon Lopez was also featured. Secretary Lopez visited YTPI on February 1 and recorded his message.To make the evening more fun, attendees voted for the Best Dog Photo (to commemorate the Year of the Dog) and Best Dressed Male and Female. Winners were chosen based on the number of likes on the photos in the event app. A key moment in the program includes the Luenthai’s XO Employee Awards. 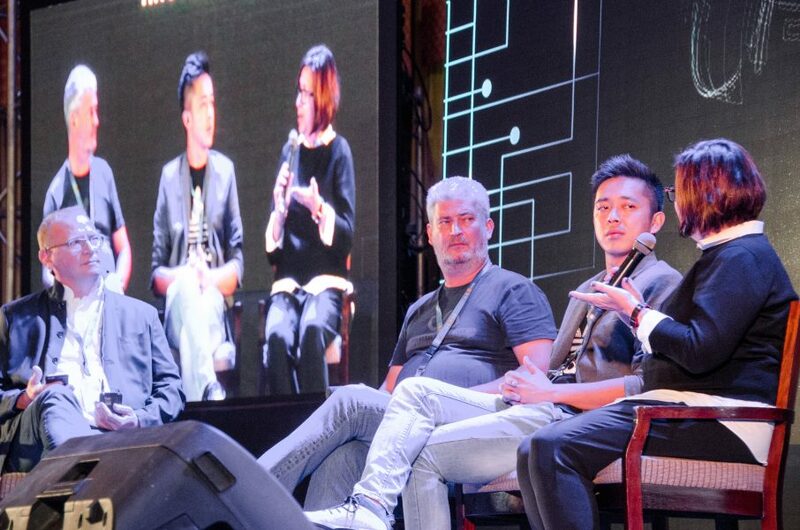 The two day summit is a well-attended event with special guests that included Shangtex executives led by Chairman Shen; Tan Family led by Henry Tan; and partners like the executives and management team of adidas, Co-Founder/CEO of Zalora Philippines; Tuloy Foundation; and government representatives. This year’s Summit Committee is chaired by Frank Sauceda. 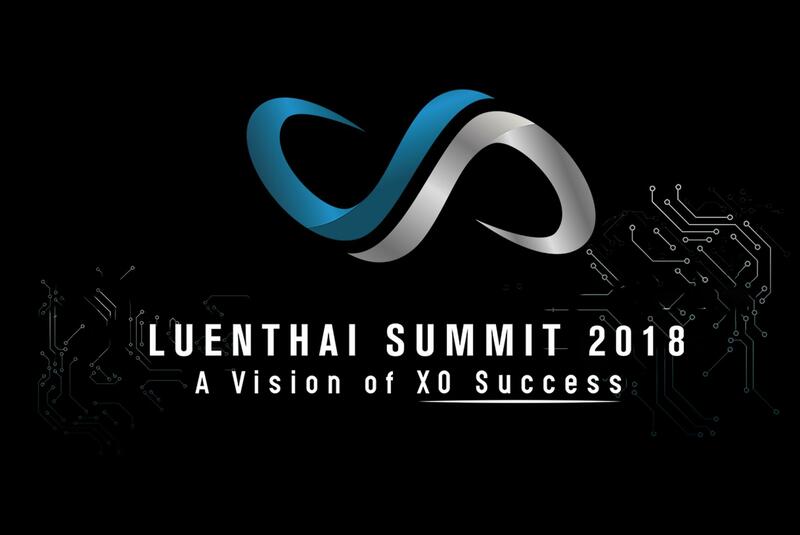 The conference was held with the following objectives: (i) promote a culture of innovation and shared success; (ii) create and promote a learning mindset that prepared Luenthai for a new business environment, and (iii) inspire attendees to make Luenthai a more sustainable organization.